with the other students in your classroom? We all want to belong. Psychologists have shown that it is actually part of our DNA. It doesn't matter if we are introverts or extroverts - we all want to feel accepted by our peers and a part of something larger than ourselves. As teachers, we play a huge role in helping our students learn how to affiliate with their peers and establish friendships in a healthy way. 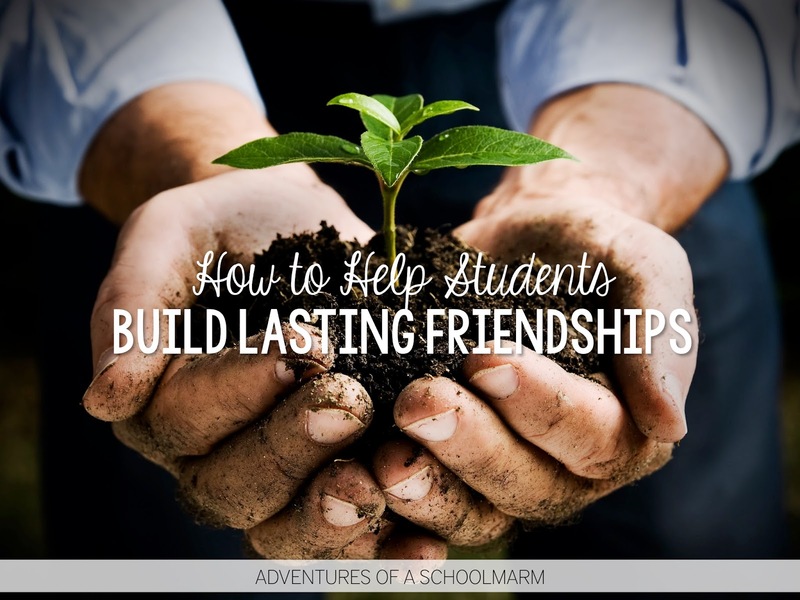 Students building friendships with one another doesn't always come naturally, so teachers need to facilitate teambuilding and classbuilding experiences in order to help them along the way. Developing positive relationships between the students in your classroom is a crucial part of building a positive classroom environment, but it may seem a little overwhelming to know how to get started. 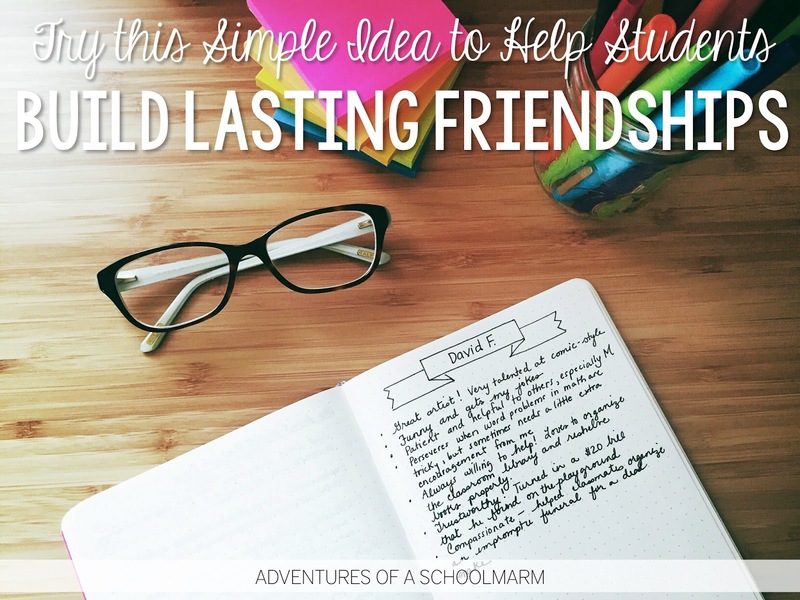 Follow these guidelines to encourage healthy friendships to blossom between your students! Earlier in this series, I shared Tips for Building a Positive Classroom Culture, including the ONE MAGIC INGREDIENT, for a positive classroom environment. 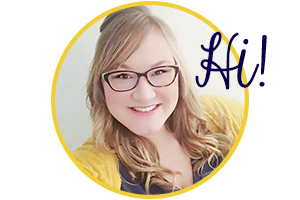 I went into greater detail about how to build a positive culture in your classroom, including specific strategies for expecting the best from your students, growing healthy relationships of all kinds, and transforming negatives into positives. If you missed it, you will definitely want to head back over and check it out! This part of the series is going to expand upon growing healthy relationships - most specifically, student to student relationships. I will share 3 general guidelines for helping students build healthy relationships and specific strategies to start implementing this in your classroom right away. Positive classroom relationships start with YOU. This may be surprising to learn, but research has shown that establishing and maintaining positive relationships with your students matters significantly more than how well you know your content. This further reinforces how important it is for each of us to get to know our students well. We have to invest time in learning each of our students' strengths and talents as well as their areas for growth. Knowing their strengths and talents will help us to always focus on the positive. 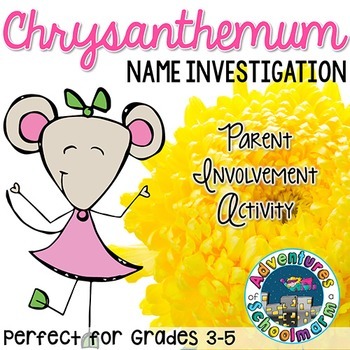 Get to know your students with intentionally-planned games and activities. It is so important that you build activities into the day during the first weeks of school to let students share all about themselves. There are so many great ideas on Pinterest of ways to get to know students. 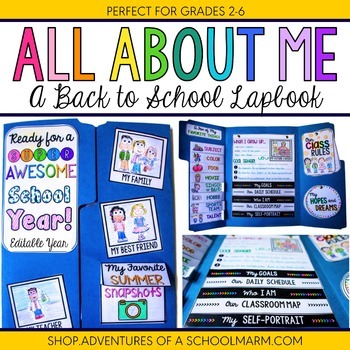 Some of my favorites include: All About Me lapbook, Name Investigation (pairs well with the book Chrysanthemum by Kevin Henkes), student interest inventories, All About Me paper bag activity, and the Figure Me Out math activity. Facilitate family meetings. Class meetings, or family meetings as I like to call them, are an important part of a positive classroom environment. They consist of bringing students together in a circle to discuss things as a group, solve problems, and share positive affirmations. They can be held as infrequently as once a week, but I find my classroom runs best when I hold them daily first thing in the morning. I begin by facilitating the meetings, but then teach students how to take ownership. Over time, the students learn the protocol for how a family meeting is held and can begin to take ownership over the process. Keep a journal about your students. 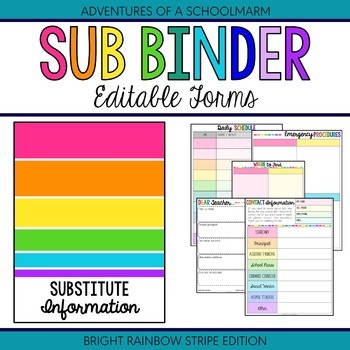 Don't forget the little details that make your students unique! One of the simplest ways to ensure this doesn't happen is to keep a journal or notebook where you can specifically write these things down. I like to give each student their own page in my journal. As the year continues, I write different positive things I notice about the child, his special talents, or anything else positive I want to remember. It helps me remember things I might otherwise forget so that I can intentionally think of ways to focus on their strengths and talents in the future! Positive classroom relationships help students form peer affiliations. Belongingness, the psychological term that describes our innate need to be accepted by members of a group, means more than getting to know others on a surface level. Belongingness goes deeper. It means we want to be accepted and valued by members of a group. We must never forget how important it is to each of our students that they also feel a sense of belonging with their classmates. Children begin to care about peer affiliation as early as age 7! 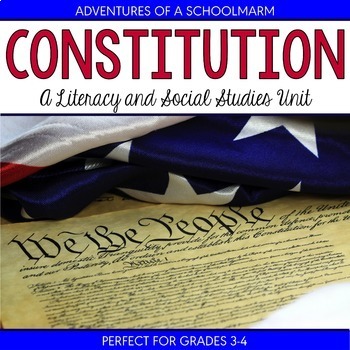 This grows into a need to achieve a specific social status by the age of 12. As children move into middle school, friendships matter even more. 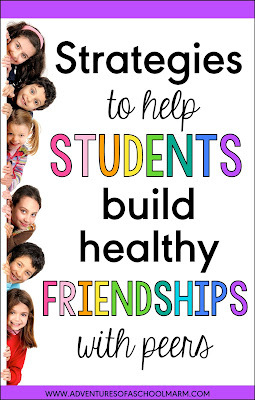 Research shows that there is a direct correlation between students' abilities to develop healthy friendships and their academic achievement, positive behaviors, and overall emotional wellbeing (Jensen, 2013). 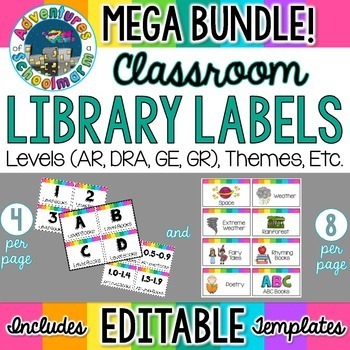 This is great news for teachers! It means that the time we invest in helping our students develop healthy relationships with one another leads to greater academic achievement, increased social-emotional health, and better behaviors. Relationship-building is always a win-win situation! Line up in order of birthdays, from tallest to shortest, etc. Design something as a team (a motto, pennant, shirt, hat, etc.) and be prepared to explain the meaning behind what you designed. Generate a team name and mascot. Be prepared to explain why the team chose this. Play 2 Facts and a Fib. Each person writes down 2 facts and 1 fib about himself. The team has to agree on what they think the fib is, then share out. Positive classroom relationships encourage peer approval. Belongingness also means that our students want to be more than merely being tolerated by their peers - they want to experience approval and acceptance. Research shows that people will go so far as to conform their own behaviors to try and fit into a specific group. As teachers, we should celebrate the uniqueness that each student brings to the classroom so they don't feel the need to conform. It's important that students know they are accepted for who they are so they feel safe enough to be themselves. Classbuilding is another way to encourage students to approve of one another in healthy ways. While Teambuilding focuses on how students learn to interact with one another in smaller groups, Classbuilding focuses on how they interact as a whole. 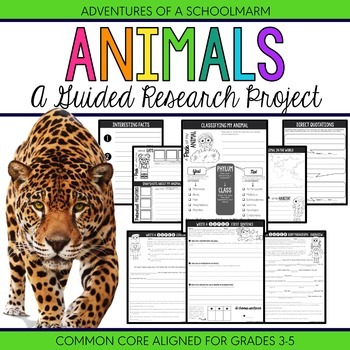 It is an important part of helping students get acquainted with one another, building a class identity, and valuing the differences that make each student uniquely important to the group. Classbuilding specifically gets students out of their seats and away from their teams so they have to interact with others. 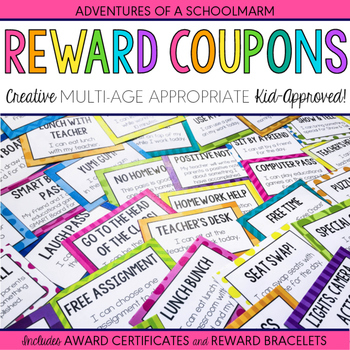 For example, you may do a Mix-Pair-Share with students and then have them share out about the best thing that happened to them over the weekend. Shout Out Box: You can also create a special place in your classroom for students to write anonymous positive affirmations to their peers. Some students may not feel completely comfortable saying how they really feel if they know the other students will know they said it. This can be a safe place to start building positive peer affirmations into the classroom. 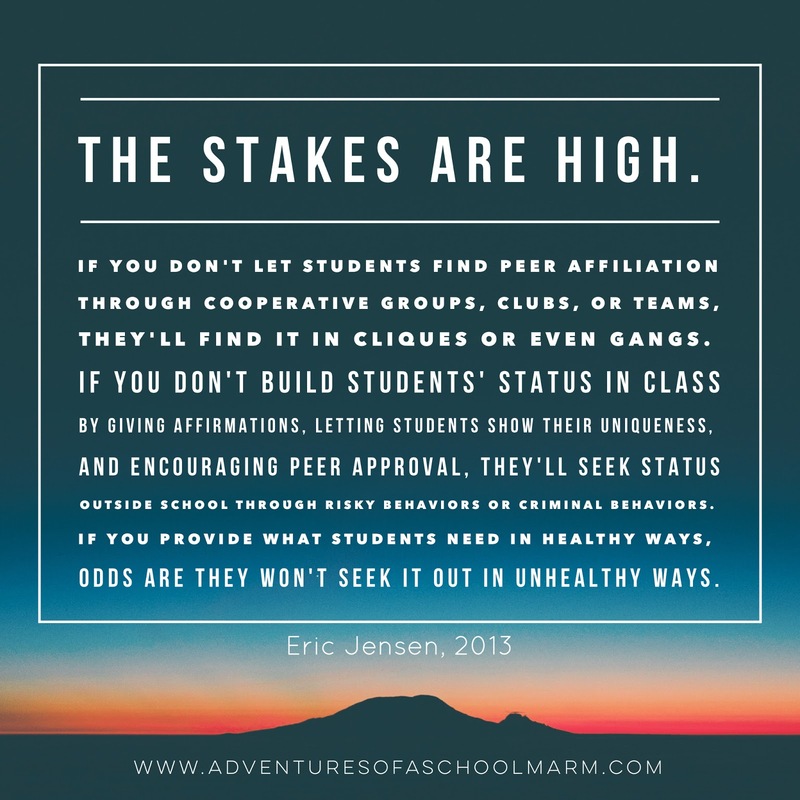 Positive Peer Affirmations: One of the best things you can do for your students to encourage relationship building is to focus on positive peer affirmations. This can be as simple as ensuring that each student says something positive about the classmate sitting next to them during Family Meeting. You might also pick a VIP of the day and have students share positive affirmations on a sticky note or on the white board. 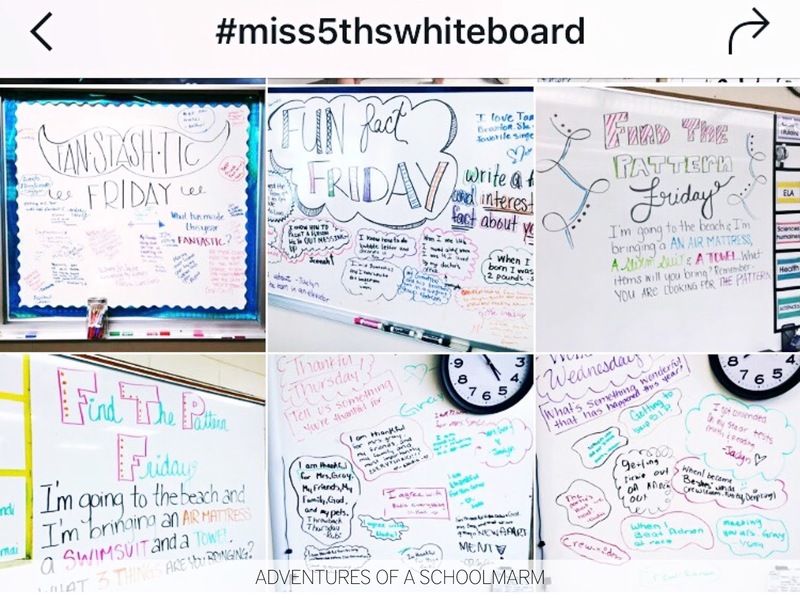 You can also check out the hashtag #miss5thswhiteboard on Instagram for more inspiration! 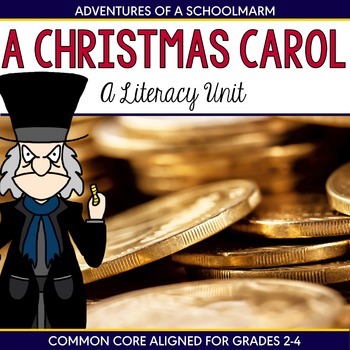 Collection of Compliments: There are a variety of ways you can do this with your class, but one of my favorites is to have a Character Tree on display somewhere inside our classroom or directly outside the door. I like to create the trunk and branches of a tree out of brown bulletin board paper. As students see others demonstrating quality character traits, they can write a Character Compliment on a leaf and attach it to the tree. Students love to see the tree grow as we celebrate positive character, and visitors love to read the compliments, too! Positive classroom relationships set the foundation for positive peer relationships throughout life. Make no mistake. The time we spend teaching our students how to get along with one another, work as a team, celebrate each other, and build healthy friendships is time invested in our students' futures. The truth is, if we don't teach them how to seek approval from their peers in healthy ways now, they will seek it out in unhealthy ways as they grow older. It is so important that our students feel like they belong and are accepted as their unique selves.